​It was set up to work with education, community and family groups as a response to the increasing need to connect people through meaningful experiences in natural settings. Now more than ever the demands on our time and other possibilities and distractions mean time spent in nature is ever diminishing with significant consequences to our health and well-being. Attwood Learning Partnerships also develops projects with other similar social enterprises and education settings to expand what is possible through a shared venture. 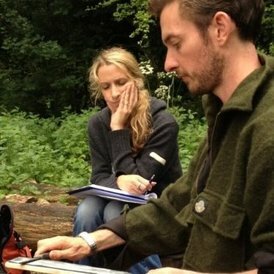 Jon has been leading groups outdoors in green spaces in the wider Bristol area through hands on practical experiences for almost 20 years. He provides training, experiences and guidance to explore the potential that time in the natural environment has for personal development and growth for children and adults. Harriet is an experienced coach and Learning and Development professional who works with the education sector and businesses to deliver coaching and mentoring sessions and training. She also co-ordinates a wider coaching network in Bristol.